Volunteer - LAUREL ADVOCACY & REFERRAL SERVICES, INC.
​Whether you volunteer once in a while, once a month or every week, your contribution of time is one of the most valuable resources to LARS. Client Services Assistant: Our Client Services Assistants are a friendly face in our Crisis Center, where clients visit on a walk-in basis to receive services from LARS. 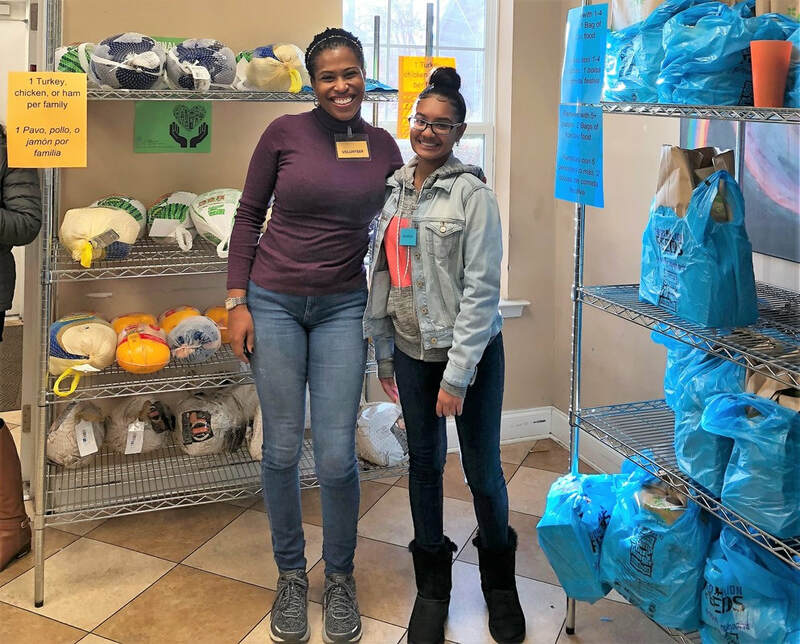 These volunteers support staff in our Crisis Center by accepting donations, preparing and distributing food bags to clients, performing clerical duties, and preparing clients for their visit with a Case Manager. Food Pantry Assistant: Food Pantry Assistants accept, sort, and organize donations in our food pantry. These volunteers use safe food handling procedures and organizational skills to ensure that all the food we give to clients and their families is safe to eat. Their work is a huge part of what we do at LARS, and they have a big impact on fighting food insecurity in the community. Life Skills Facilitator: Life Skills Facilitators conduct classes on a monthly basis for our clients. The classes may cover any topic that may be helpful to increasing the stability and self-sufficiency of our clients. These volunteers design and conduct courses based on their skill sets and interests. Areas of particular interest are healthy living and financial literacy. There are plenty of other opportunities to get involved in the work that we do at LARS, and our volunteer needs are constantly changing. We regularly need volunteers for special events and fundraisers that happen throughout the year. Check in with the us to stay updated on current volunteer opportunities! Fill out our form below to get started volunteering with us! Our volunteer coordinator will contact you to get your volunteer connection started. Please take a few minutes to complete the volunteer interest form below and our Volunteer Coordinator, Angelica Christian, will get in touch with you as soon as possible!